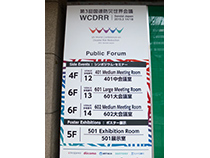 The Third UN World Conference on Disaster Risk Reduction (United Nations WCDRR) to discuss international strategy for disaster reduction was held in Sendai on March 14-18, 2015. There were participants from 193 countries who are UN members. Around 5000 people who were government officials (including heads of state and ministers), international organizations, accredited NGOs, etc. attended the Opening of the Conference and Official Statements to discuss the strategy for disaster reduction in the world. The National Federation of University Co-operative Associations (NFUCA) also took part in the Public Forum’s exhibition booth and poster. NFUCA introduced the volunteer activities of students in pictures and text that were held continuously after the earthquake. 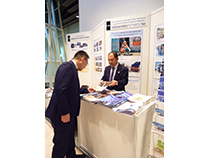 We have been deepening cooperation with other co-operatives in Japan since the United Nations International Year of Cooperatives (IYC) 2012. In the Conference, more than 20 co-op federations including agricultural co-ops, consumer co-ops, and workers and consumers insurance co-ops formed a joint office of co-op participants. The office made posters and materials both in English and Japanese. 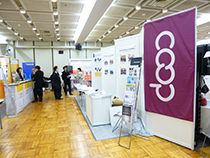 We participated in exhibition booth and poster in two venues, including Sendai Civic Auditorium. Around 1500 people (participants of Conference, teaching staff from universities worldwide, local students, citizens, etc.) dropped by at our booth in this five-day event. There were some local co-op staff and students who were happy to learn about our activities that were introduced to this world event for the first time. 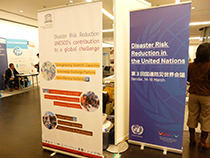 Other participants of the Public Forum’s exhibition booth and poster included international organizations such as the World Bank and UNICEF, embassies, NGOs and NPOs. We are glad to have interactions with other participants. Materials in Japanese and English were distributed. 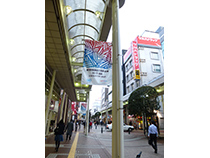 A lot of posters of the United Nations WCDRR were seen in various places in Sendai City.